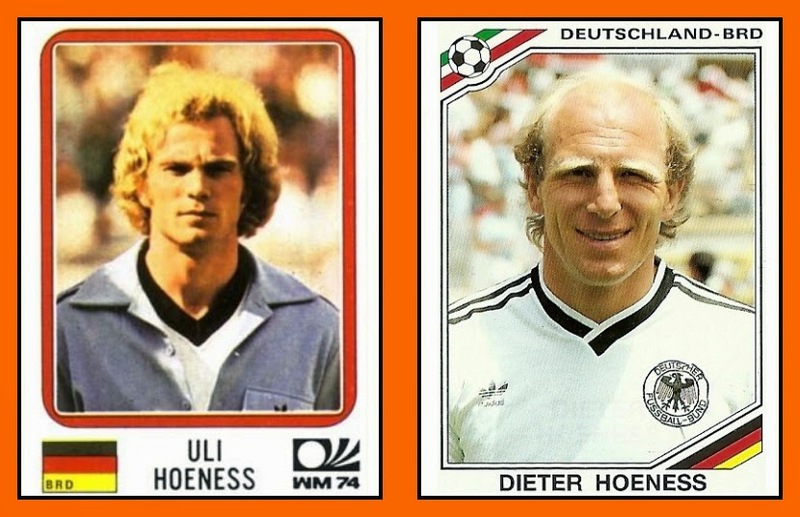 Ulrich "Uli" Hoeneß is a former German International footballer who played as a forward for club and country. Hoeneß represented Germany at one World Cup and two European Championships, winning one tournament in each competition (Euro 72 and World Cup 74). Hoeneß was born in Ulm, Baden-Württemberg in 1952. The left-sided forward was recruited from amateurs TSG Ulm 1846 by Udo Lattek, then manager of Bundesliga giants FC Bayern Munich, at the age of 18, in 1970. The player immediately made an impact, scoring six times in 31 matches as the Bavarians finished in second position, behind Borussia Mönchengladbach, and adding the domestic cup. During his eight-and-a-half-year stint with Bayern, Hoeneß enjoyed great success, winning a total of three European Cup and three Bundesliga titles. 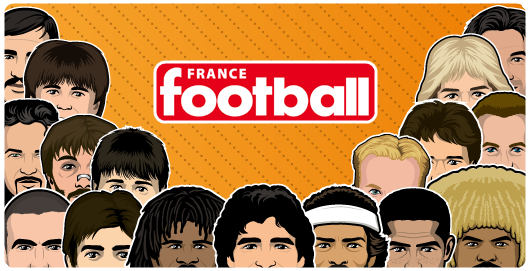 Then he won the Intercontinental Cup in 1976. Hoeneß played 35 times for the West Germany. His debut came on 29 March 1972, as he scored the final goal in a 2–0 friendly win in Hungary.As one of six Bayern players in the German squad, Hoeneß won both UEFA Euro 1972 and the 1974 FIFA World Cup. In the final of the latter, against Holland, he committed a foul on Johann Cruyff in the opening minutes that led to a goal from the subsequent penalty, but the hosts came from behind to win it 2–1; additionally, he also played with the national side in Euro 1976 in Yugoslavia, where he missed the decisive attempt in the penalty shootout loss against Czechoslovakia, skying it over the crossbar. Hoeneß played 35 times for the West Germany. His debut came on 29 March 1972, as he scored the final goal in a 2–0 friendly win in Hungary. As one of six Bayern players in the German squad, Hoeneß won both UEFA Euro 1972 and the 1974 FIFA World Cup. In the final of the latter, against Holland, he committed a foul on Johann Cruyff in the opening minutes that led to a goal from the subsequent penalty, but the hosts came from behind to win it 2–1; additionally, he also played with the national side in Euro 1976 in Yugoslavia, where he missed the decisive attempt in the penalty shootout loss against Czechoslovakia, skying it over the crossbar just before Antonin Panenka scored the most famous penalty ever. 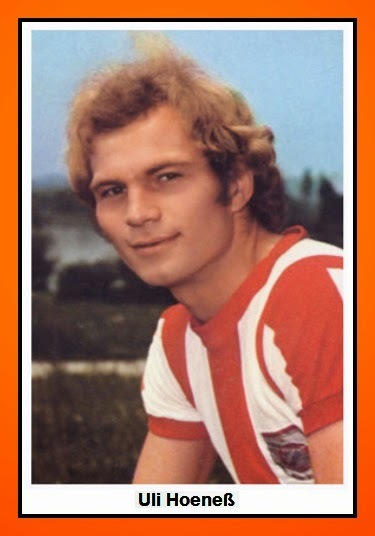 Dieter Hoeneß is the younger brother of Uli (he was born one year later) and played as a striker. Dieter Hoeneß played on amateur level for VfB Ulm, TSG Ulm 1846 and VfR Aalen, before he moved to the professionals in 1975 with VfB Stuttgart, with the club then in the second division. After two seasons and 19 league goals, he promoted to the Bundesliga. 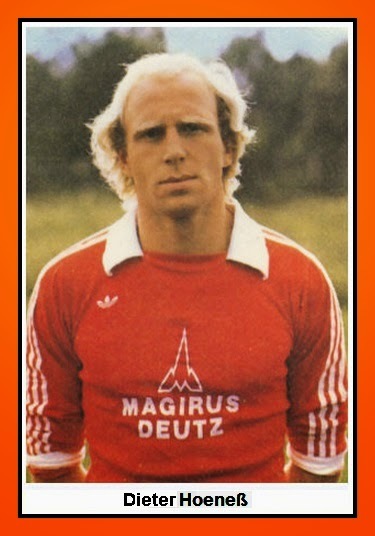 After the 1978–79 season, where he netted 16 goals to help Stuttgart finish in second place, Hoeneß signed with FC Bayern Munich. There, he was highly successful both individually and collectively, winning five leagues and three cups. A powerful striker whose main strength was his heading ability, he scored five times in double digits during his stint with the Bavarians, for a total of 127 goals in 288 league matches, in the German top division alone; he retired in 1987, at 34. Hoeneß played six times for West Germany, scoring four goals. He scored on his debut with the Republic of Ireland on 22 May 1979, repeating the feat the following month, in Iceland (both matches were away friendlies that ended with 3–1 wins). Hoeneß then spent seven years without a callup. However, after a solid season with Bayern (15 league goals, winning the double) the veteran was picked for the squad that took part in the 1986 FIFA World Cup in Mexico, where he played twice for the eventual runners-up; one of those appearances came in the final against Argentina, where he replaced Felix Magath at the hour-mark, obtaining the distinction of being the oldest player on the field, at 33 years and 173 days.